Bad starter-system issues are more common than you may think. Starting system troubles may be caused by poor maintenance, or just wear and tear. Even with decent maintenance, the different system components get a lot of wear during their service life and are bound to start having problems eventually. Problems may show up as a no-crank or slow-cranking condition, caused by a worn-out component, a bad electrical connection, or an undercharged or failed battery. Unfortunately, a problem in the system can catch you unprepared and leave you stranded with a huge repair bill. If you have a little experience with car repair, you may feel tempted to rush out and start buying and swapping components, trying to fix your car. This may lead to frustration and a waste of time and money. But troubleshooting the starting system is actually relatively easy, compared to other electrical systems in your vehicle. This system can give you some clues about the type of problem you are facing. And, armed with your car repair manual, you may be able to make the necessary fixes to get your car going again. So here are some of the most common symptoms you may notice when having troubles with the starting system in your car. Diagnosing a Problem With a Starter: What Noise Does It Make? "I hear a whirring sound." "I hear a loud click." "It's more like a grinding noise." "Cranking the car makes my headlights dim or go out." "My headlights are fine, but my car still won't start." All of these instances will be thoroughly described and diagnosed below. If your engine is cranking as usual and still refuses to start, you're likely dealing with an ignition or fuel system issue, not a starter issue. What Do You Hear When You Try to Start Your Car? As discussed in the video below, there's a difference between a "crank--no start" situation, and a "no-crank--no start" situation. If your engine is cranking as usual and still refuses to start, you're likely dealing with an ignition or fuel system issue, not a starter issue. Below, we discuss different situations where you turn the key and hear either nothing or something other than the engine turning over. Depending on the situation, the problem may be the starter itself, or something else. "I Just Hear A Whirring Sound." 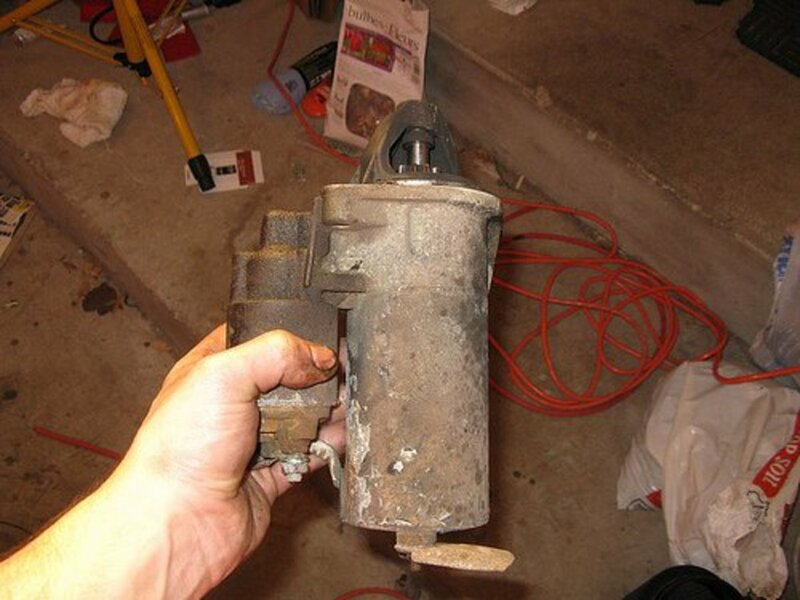 Car starter motors use a small device called an overrunning clutch, or one-way clutch. 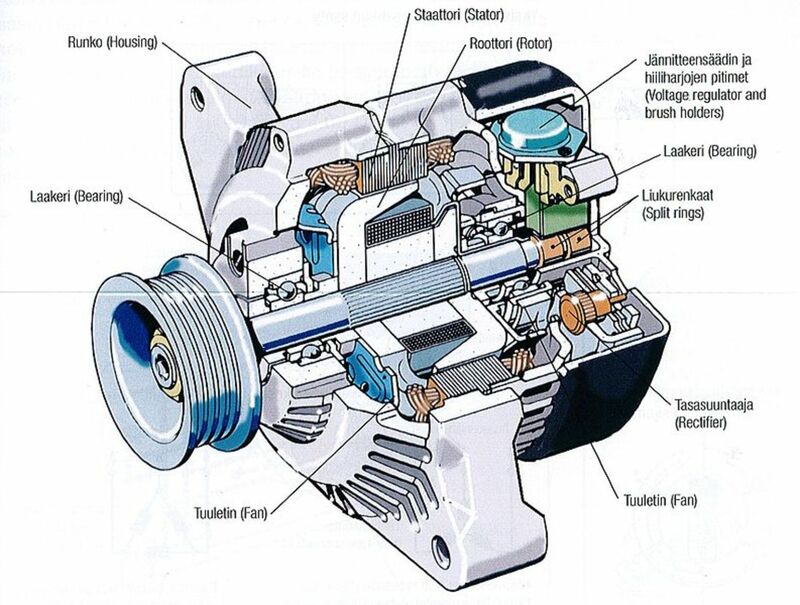 When you turn the ignition key to the run position, the starter solenoid interlocks the starter's pinion gear with the flywheel on the engine to rotate the engine at "cranking speed". Once the engine starts and exceeds cranking speed, the overrunning clutch releases the pinion gear from the flywheel. However, if the solenoid mechanism is too worn to engage the flywheel, all you'll hear is a swishing sound as the armature in the starter spins all by itself, unable to crank the engine to a start. So this sound may indicate that the solenoid in the starter is worn out. "I Hear a Buzzing Sound." Sometimes you just hear a buzzing sound. Electrical current is making it to the starter solenoid, but all it does is try unsuccessfully to activate the solenoid's plunger to engage the pinion gear and flywheel. This failure is usually caused by poor current flow due to low battery charge or poor electrical connections along the starting circuit, including corroded battery terminals. On the other hand, if you can hear a single, solid click, the starter circuit may be getting enough current, but you may have a bad starting motor, bad solenoid, or even an engine mechanical problem. If you hear a harsh or grinding noise as you try to crank up the engine, you may have a loose starter motor (mounting bolts), or a flywheel or pinion gear with broken or worn-out teeth. If the gears on the flywheel and pinion aren't able to mesh properly, all you hear is the sound of metal teeth clashing loudly. or corroded electrical connections (including battery terminals) that prevent electrical current from reaching the starter motor. OK, so now you have an idea about what may be the cause of your starting system problem. But, is there a way you can confirm your suspicions? Actually, there is. And you don't need special equipment either. Let's use your car's headlights to confirm your tentative diagnosis. The test: Have a friend—or a willing assistant—turn on the headlights and try to start the engine, as you stand in front of but to one side of your car (just in case your car decides to start and lurch forward). Corroded terminals (most commonly battery terminals) are preventing electrical current from reaching the starter motor and other systems. "Cranking the Car Makes My Headlights Go Out." Your battery may be undercharged. If your battery is properly charged, you could have a short in the starting motor that is causing it to draw too much current. Another possibility is that you may not be dealing with a starting system problem at all, but an engine problem. "My Headlights Are Fine, They Don't Change." 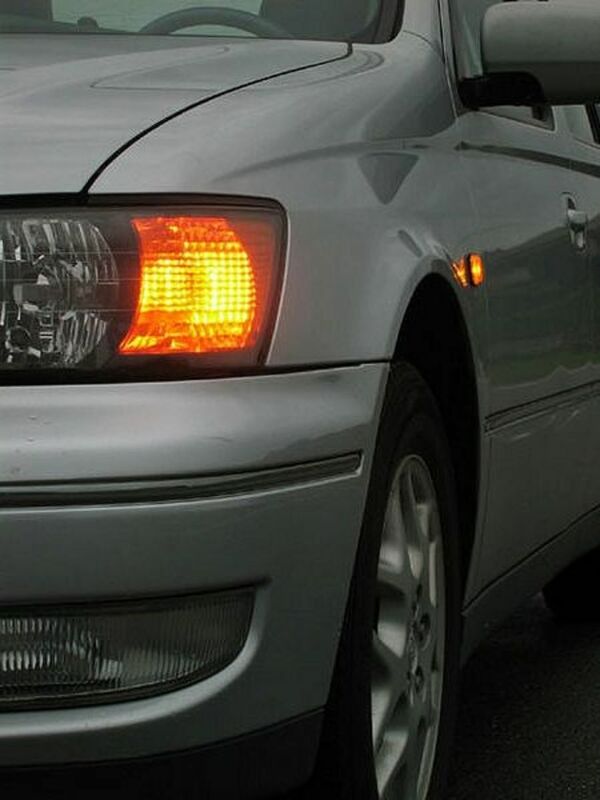 There's the possibility that your headlights remain bright while your engine cranks poorly. Then, it's likely you have an open circuit or too much resistance in the circuit. Check for a failing component, or corrosion at one or more of the system circuit connections, including the battery terminals. If after these diagnostics you decide you need a replacement starter, make sure you have exactly the right one for your make and model. ACDelco provides high-quality replacement parts, meeting or exceeding OEM standards, for all vehicle makes. Starting-system problems are hard to diagnose sometimes, but paying attention to the symptoms will help you repair your car faster than you could otherwise. And not only that, it can help you save money in the process. And if you are the DIY type or are mechanically inclined, having the repair manual for your particular car make and model can greatly help you zero in on the root cause of the problem and get it fixed, even if you don't have much car repair experience. What is the most common starting system problem you've dealt with? My lights are working and service engine light is on, but I hear a clicking sound when I turn the ignition. I put in a brand new battery. What is going on with my car? Assuming your battery is properly charged, if you hear a rapid series of clicks, there might not enough current reaching the relay/solenoid. Check the cables and wires between the battery and starter. If you hear a single solid click, have the starter or relay/solenoid check. When I try to start my car, I hear rapid clicks, what could that be? Probably not enough voltage is reaching the solenoid, or the solenoid itself is bad. Check the battery voltage and how much voltage is reaching the solenoid. I had changed my battery and my car wouldn't start. I did a complete tune up but I didn't change the starter. Do you think that could be the problem? Whenever I turn on the ignition switch, the interior lights go out, the headlights dim, and the starter does not come on. After a brief wait, I activate the key switch to start, and starter comes on without hesitation, and the engine turns over normally and starts. What is the possible problem? Can you hear the fuel pump buzz sound when you turn the key? Something may be pulling too much current. Have the battery checked and make sure all starting system connections are clean and tight. A week ago my car wouldn’t start. A random person jumped my car, and it started. I went and had the starter, alternator, and battery checked. They were all good. During the week my car did it a few more times but turning the key a couple of times the car started. Each time I turn the key, there is one click. All the electrical is working the car just isn’t starting. It’s a 2011 Dodge Grand Caravan Crew. What could be the problem? My 2001 Civic is cranking normally but not starting despite a new battery. Any ideas what could be wrong? Check the spark and fuel pressure first. Our Kia minivan has had an alternator/ battery/fuse panel/ignition switch replaced, and still won’t start on a daily basis (1-2 times a day). I can hold the key in the start position for 30-90 seconds & it will finally start. All lights, doors, windows, etc. work. It seems to happen more in summer (very little in winter). Are we dealing with a starter issue? Check to see how much voltage the starter is receiving, and how much current is pulling. There could be a circuit issue. Make sure all engine grounds are properly connected, and there are not missing. This can give trouble to the starter. I have a 1999 Oldsmobile and when I turn the key to crank it up I hear clicking sounds and it won't start but the lights in dashboard and inside come on. What do you think the problem could be? My Toyota will not crank or make a sound. This happens intermittently; usually when it has been driven for a while. After it sets for a while, there is no problem. Could it be the starter contacts? When I turn the key on everything lights up, the battery is fully charged. There is just no crank or noise except for a click in the starter relay. Check the cables for damaged, loose wires or corrosion in the starting circuit. Wiggle the wires and cables while trying to crank the engine when this happens. Also, check the starter relay, make sure voltage is coming out. My 2008 Toyota Yaris isn’t starting, but its headlights work. What could cause my Yaris' problem? Check you have enough battery power and that enough voltage is reaching the starter solenoid. If there's power and voltage is getting to the solenoid, then have the starter motor checked. My 2009 BMW X5 won't start. I replaced the start 2 months ago. I went to the store, shut the car off, and when I tried to start it again, it tried but only cranks. I believe I noticed a new brake light on the dash. It should be yellow, but now stays on and is red. 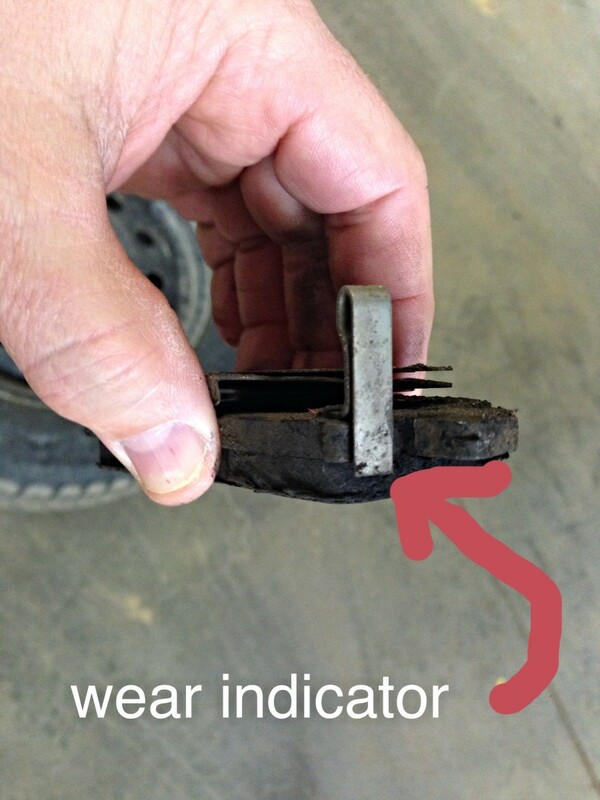 Could it be a sensor in the brake pedal? Why won't it start? Basically the red light is a warning about the hydraulic brake system. It may be losing pressure, worn pads, or another related problem. This may or may not prevent your car from starting, depending on your model. Have the brake system checked first. Why is it that when my battery is fully charged, but in 18 to 20 hours my car won't start? They say that the alternator and other systems are fine. If other systems are fine, do a hydrometer check on the battery - it may be failing. Or take it a shop for a diagnosis. My car lights come on inside and outside the car, as well as the check engine light, but it doesn't start. What is the problem? First, download the trouble codes from the computer memory and take that as a guide. Also, if necessary, check the starting circuit and make sure the starter motor is working properly. This post might help you as well. Why my car stops after 3 km drive with out any fault sign? The dash board lights on. It usually starts with jump starting. But it doesnt work. When it ignites, it makes a cracking sound. You might want to check the computer memory for pending or stored trouble codes. Check fuel system pressure. Ignition modules and fuel pumps - are two (but not the only ones) that when going bad can quit after components warm up. My 98 Jeep Grand Cherokee wants to start, but there is no sound and no start at all. All lights work fine. I changed the battery, but nothing changed. So is it my starter? Check the starter circuit including the ignition. You may need the diagram for your application to trace the voltage. Start at the solenoid and make sure voltage is getting there. Before I sent my car to the shop, the remote key starter used to work fine; now the remote doesn't start the car at all. What happened? The most common reason is a dead battery. Also, you might want to check the internal contacts. They wear out over time. I just put a new battery in my car, plus an alternator. Now it won’t start after getting a jump and turning it off. But when I did jump it, I noticed I wasn’t able to charge my phone. Any thoughts? You may need to check the battery cables, connections and those for the charging circuit. Also, check for engine grounds. A little bit of corrosion or a loose wire can cause a lot of electrical trouble. I just put an engine in my car. Can a bad starter make my car run rough? Not really unless the starter is draining the battery and the alternator has difficult recharging it, assuming the engine is working fine. My 2002 Grand Marquis starts, but it struggles to start, battery and the alternator is good. What else could it be? Check fuel pressure and for a healthy spark. Scan the ECM for possible pending codes, if necessary. My car won't start when it is hot after 4 to 5 minutes. But, when the engine is cool, it starts without any issues. What could be the problem? Make sure the coolant level is correct, and have the battery tested and, if necessary, the coolant temperature sensor. Why does my Jeep start at every turn, then idles down and stalls out? Once it's warmed up, it starts every time. Why is that when I start my truck the starter gets stuck? It sounds like it spins or gas doesn't pass, but after three times, it will start. I got a new battery for it, but still, the same thing happens. Make sure the connections in the starting circuit are clean and tight. But it seems like it could be a leaking injector. After you spend the fuel, it leaked, and so the engine fires. I've installed a new battery, but I am experiencing issues getting my car started every other day. Could it be the starter? If the problem began after replacing the battery, check for loose or corroded connections in the starting system. My starter performs perfectly when the engine is cold. However, when the engine is hot, it won't start up. Instead, it produces a click sound only. Otherwise, I have to wait for up to 45 minutes for it to cool down. Then, it will start up. What could be the problem (Nissan Cube)? The starter or solenoid may be ‘heat soaking’. Basically, starters absorb heat from the engine or exhaust manifold when the engine is operating. Some models use a starter motor heat shield to prevent this. Heat acts as a resistance to the motor or solenoid. 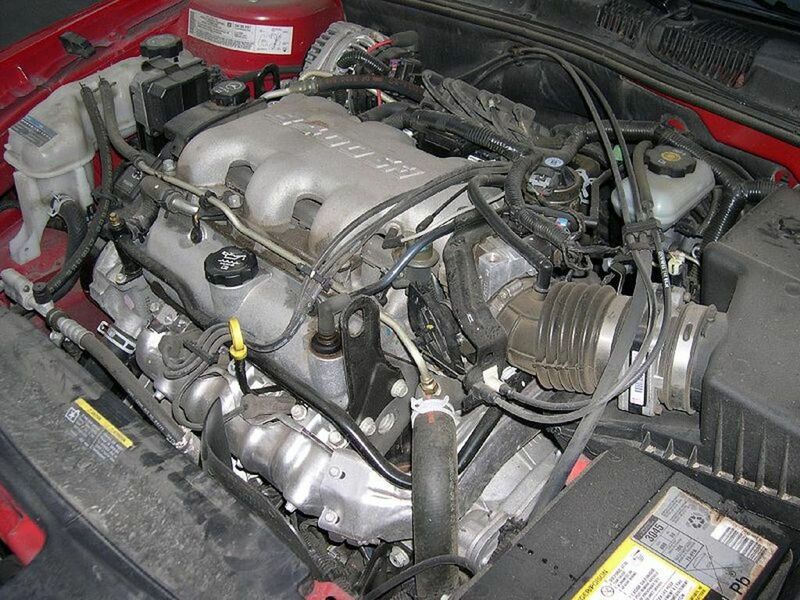 However, you want to make sure the starter motor, solenoid, and battery, cables are in good shape. No corrosion, good and clean connections. Some ways to solve a heat soak problem is to upgrade battery cables and/or battery to feed extra amperage to the motor. If you didn’t have this problem before or it showed up after installing a new starter or starter system component, see if you are using a non-OEM part or forgot to replace a heat shield, and components are working properly. Also check the wiring around the steering column. There's seems to be some wires (ground, possibly) loose. Truck horn keeps randomly honking,steering wheel is loose,disconnected horn I believe i have a short in mt steering column,engine turns over battery and lights strong,blinkers dont work,sometimes radio and power windows dont work,truck sometimes starts it will crank weak then kick in strong then weak.The positive battery cable gets real hot to the point that the cable end melted on battery terminal.like solder. Make sure the battery is completely charged. You can take it to the auto parts store for this. And also, check the battery cables and the connections to the starter. The connections should be tight and clean. I have a 2002 Chrysler Sebring convertible, It just didn't start one day so I took battery and starter in to get checked. Said my starter was bad so I replaced it. My lights and all come on but still won't start, why is this. What child it be? Check the battery charge. 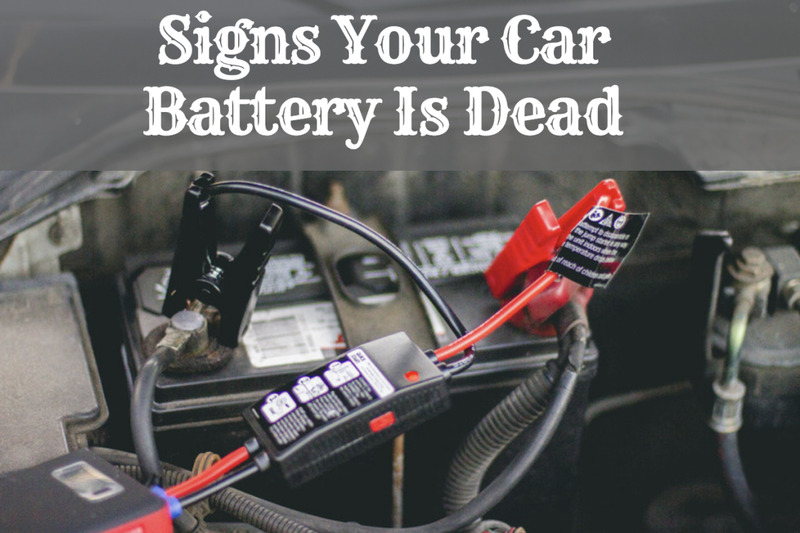 If necessary, charge the battery and have it checked at an auto parts store. It might be at the end of its life. when trying to start my 2013 Malibu all you hear is clicking and then nothing. once you hook it to a battery charger or cables on another car it starts right up, but then once it shuts off it needs a jump again. what is this? Do you have a backup remote - is that one working fine? Other than the battery having failed, another possibility is that the internal contacts in the remote may have worn out. You may find a shop that will check the remote for you or replacing it might be a better way to go. 2007 corolla , care remote starter will lock and unlock car doors, but will not start car remotely? Have the ignition switch checked, it sounds like a worn or bad connection in the starting system. People laugh when they are in my car because when I turn the key, nothing happens. I keep holding the key and the car will sort of growl. I keep holding and it sounds like a moving growl. Eventually the car starts. It takes a while holding the key, but it does always start. What do you think? My battery is new. My alternator was recently replaced. It's just slow. It is a 1981, I should add. If your battery is good, check for voltage at the different points from battery to the starter motor. There should be a connection or components that is stopping current from getting to the starter. If voltage is getting to the starter, possibly the starter motor is bad. Don't forget the ignition and safety switches. My car will not start ran perfectly fine lights work everything else but no start battery is fully charged n still nothing we tried jumping it still nothing. Make sure there are no loose battery or starting system connections. Also, check the battery charge. Another possibility is with the ignition system. Hi I've just had a new clutch fitted.2 days later my car died.headlights work .dashboard lights up when i turn the key but no sound at all.any ideas please? Do the lights stiill stay on? - There might be a short in the ignition- starting circuit. Have it checked. A good auto electrical shop should find the culprit in a matter of minutes. my car is not turning off properly the lights on the dashboard will stay on. I replaced my alternator and battery. now this morning it will not start and I don't get any type of sound when I try to crank the car up hat could this be? Check the battery if engine dosen't crank, if it cranks you may have a fuel or ignition system problem. Check the starting system - make sure the battery is fully charged and the starter motor is properly mounted. If the motor has a mechanical malfunction, it might clash with the flywheel instead of meshing correctly. Have you checked the starting system? Also, make sure your battery is charged and still good. Make sure your battery is fully charged. Then check that your starter solenoid and motor are good. * If it doesn't crank over at all - there might be a problem with the pinion gear or other component in the starter motor. Have you check how much charge you got? You can use a digital multimeter. Usually this is the most common cause for a no start, but not the only one. You might want to start here. Can you hear a solid click when you try to crank the engine? There may be something wrong with the starter. Do you hear a series of clicks? Your battery may not have enough charge or there might be a bad connection (possibly corrosion) in the circuit. Have you checked the battery connections? Can you see gunk or corrosion around the terminals? If so, you need to disconnect and clean the terminals. It seems you got a short on the starting circuit. If the truck starts right up, then you heared the grinding noise, that's when the shorted wire made contact and began cranking the engine while it was running. The starter pinion was meshing with the turning flywheel. The fact that you already went through more than one starter, seems like starting circuit has an electrical short. You need to check the circuit to see where it is before you replace the starter again. Check the wires going to the solenoid and trace them back. Hi Eric, I own a Jeep Cherokee 2000 with "No cranck/no start" issue. I replaced the battery and the starter relay and nothing happaned. Then, it was the "Hummer-Time", well after tapping the starter several times, the engine started. So, I ordered a new Starter. God Bless You and Thank You very much for your information !!!!! Yes, it comes from the battery. My question is; Does the solenoid plug should have a power or not? Yes, it could be normal for your battery. Look at the battery case and find the CCA rating (cold cranking amperage). If it is higher than current temps, you'll have a hard time trying to start your car. Otherwise, your battery might be lacking in maintenance. If possible wait for temps to go up a little bit and than try to start or get a jump. Then, take the battery to the auto parts store for a check. They'll usually do a quick free check on it. I just acquired an old Ford in preeetty rough shape. I'm pretty sure its the 2.8 straight 6 motor, 3 on the floors. Well, it ran pretty good for awhile, but would intermittently not wanna start, in which case I'd jump the solenoid. Fast forward a couple months, it won't idle. I start it up and unload a can on carb cleaner anywhere I can. Next time I go to start it, dash lights up but I only get one click when turning the key, just like when I used to jump from the solenoid before, but now that won't get it goin' either. Have to let it sit for about another month. Today, I replaced the battery, solenoid, and starter. Same thing, turn the key and I get lights, but that's it. Can anyone here point me in the right direction to gettin' this thing driving again? That being said, tons of character and fun to work on. I am in Brooklyn though and we have street cleaning so I need to get it going before I start gettin' tickets. It seems you got an intermittent fault. Use a multimeter to check the starter circuit. Start with the battery connections. Then check the connections going to the starter on the power side and check your grounds --at the battery to baody and engine to body. 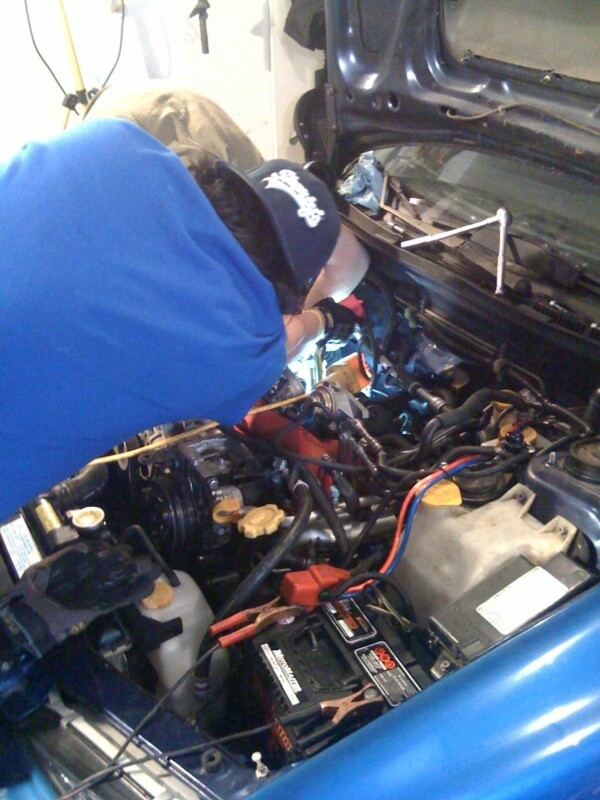 If your are not jump-starting the engine probably you dont have an alternator problem. my 2004 hyundai accent doesn't start (new battery ,alternator and wiring) no sound (dead)- 3 days later it starts. Then 2 days later won't start _ 4 days later it starts. What's up? Seems like a bad ground or similar electrical fault. Have you retrieved any trouble codes yet, just in case a sensor is giving you trouble? Go to a local auto parts store for this, they may scan the computer free of charge. If necessary, get a diagnostic from a reputable shop, if necessary. Have your battery tested. Your battery may store some juice in it, but not enough to energize the starter, which requuires a good push from the battery to work. Start there, then have the starting system checked, but it seems more like a battery issue. Check for maintenance issues first, a clogging fuel filter, worn out spark plugs, plug wires, a failing ignition coil, etc. Start with something simple as a maintenance issue. For example, When was the last time you replaced the fuel filter? If the engine starts and then stalls, doesn't point to a starting system issue (bad starter); check also the ignnition system. Your Honda may be due for new spark plugs, plug wires, etc. Ok last couple of days I have had to jump start my car. When I go to start it all electronical things work. Headlights are nice and bright then go to turn the key all I hear Is like a growl no cranking. Could a failing map senser be the culprit? Brought this car 6 months ago and it's now doing this. Can you hear any clicks when trying to crank the engine, check the starter, battery and solenoid connections. If possible, check voltage drops. The other day my manual Ford Fiesta died on the freeway, all of a sudden, and now it will light up the display but won't crank. Any ideas? You may have a charging system problem, usually the alternator, but it could also be a battery problem. My 2002 PT Crusier: It wouldn't start. I heard a clicking noise. I took it for repairs and was told it was the starter. I picked it up and stop at a store on the way home. Car started but my battery light came on. I arrived at home and try to start the car after parking it and it would not start. Having it tow back to the repair shop. What could it be? Also, your battery may have reached the end of its service life. They usually last around 4-5 years. When out of time you'll here the engine rattling, similar to a diesel engine but more metallic. On modern vehicles the computer controls the timing, but you can still check it using a timing light. On older models you can set the timing yourself by adjusting the distributor. It's easily to get confused about the component giving trouble sometimes, specially when it comes to the electrical, charging and starting systems. Check the starter system if you haven't yet. How does a car sound when it's out of time? or your battery has reached the end of its service life. I have a 1998 Sebring.it seems to be losing the power from the battery. If you jump it it will start right up then if you let it sit a couple of days it does nothing. I thought it was the alternator and replaced that and it is still doing the same thing. Would a starter solenoid have anything to do with this problem? it seems electric current is not flowing properly, the first thing to check are the connections at the battery. they should be clean and tight. This is the most common problem, If you have a way to check the wiring connections between the battery and starter (have good access) check that those are tight and clean as well. then make sure the state of the battery, and the condition of the starter. For the battery, make sure you have enough charge and then check the battery state with a hydrometer. This is a fairly cheap tool and you can do this at home. If the battery is OK, remove the starter and take it to your local auto parts store for a check before doing anything else in the ignition system. After around a day of the car getting harder and harder to turn over, it eventually just stopped trying. Everything looks good with the dashboard, my headlights stay on and bright when I turn the key. Does that point to a bad starter or something between the ignition and starter? I know you mentioned this might mean an open circuit or resistance in the circuit. Is there somewhere I should look first? Given it was a gradual fading of the ability to start, does that help to identify a potential problem area? You should have the alternator checked, from what you describe it seems as a diode gone bad in your alternator, but you may also have a short somewhere that is pulling current form your battery. You'll need to do some troubleshooting of the charging and starting system to locate the problem. Drove my car 20miles got out for 5mins then completely dead when I tried to start it. I seem to remember a slight clicking sound. Called breakdown he attached a boaster starter and it started straight away. He then attached a brand knew battery to my car and followed me home, car drove fine. Breakdown put my original battery back on and I then recharged my battery. 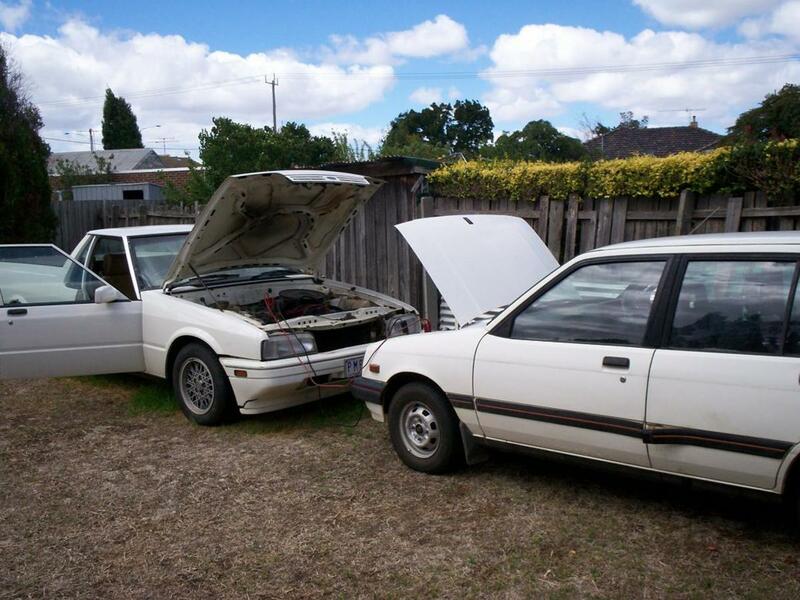 Following day I started car, started as normal drove as normal I took it for granted I had just been a flat battery. I drove to kwik fit brought a new battery because needed to get home. Driving home battery light came on after driving for 10 mins and stayed on the whole journey home which took 3hrs! Other then that car drove as normal. Driven car 3 times on 15mins journeys just to pick someone up so I've not needed to stop and restart my car while away from home. Last time I drove it my interior kept coming on and going off so did a dash light saying boot open. They were just coming on and off! Now when I think of this I had the same thing happen with flashing dash light and interior light day or so before my battery died first time. identify the type of noise you are hearing and go over the symptoms in this guide to help you troubleshoot the problem. Awesome. But you can add more images. I have a1987 ford truck . it has a 302 motor and a new battery .it startes good when it is cold but when it comes up to temp it just spikes. 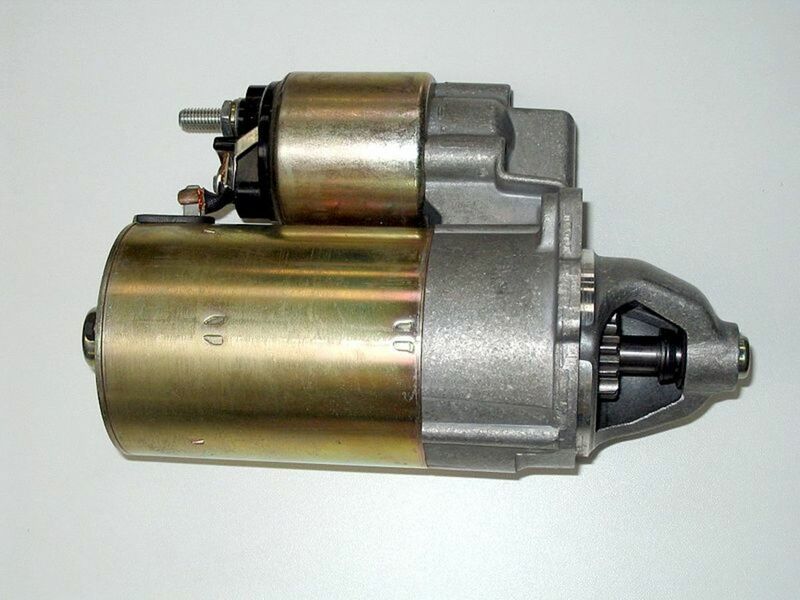 You might want to check the starting circuit for a loose or bad connection and then the starter motor itself. I have a 2009 Ford Edge. On occasion, when I try to start my car it won't start. I don't hear any sounds but all my dash lights come on. I then tap on the start and then the car will start. However, I'm being told by my "mechanic" friends that this does not necessarily mean the starter is bad....??? Any suggestions? Note to all: please check parts bought from auto part store. Turns out my starter was not good for some odd reason. Took a week with the mechanic but he finally figured out the problem. So after $800 in parts and mechanic fees a lesson was learned. Hope this helps someone not to make same mistake as i did. My s 10 would turn over slow then fire right up I was thinking low batt tonight it started to turn then just clicks the relay is sending power but not turning started would starter going bad cause it to turn slower ? Hi Mari, if you checked the starting system and everything turned out ok, check the ignition and fuel systems. Have someone scan the computer memory for any trouble codes too. Hi Brandon. If you have no even headlights after you leave the car just sitting for a few hours, check for a loose connection on the battery terminals. A main cable or wire is preventing power flow. I'd check the battery terminals and the starter circuit first. Make sure they're clean and tight. Then check the battery and and the starter motor--in that order. Good luck. My car has been having trouble turning over. But if I give it gas it will help it start. Sometimes i have to rev the motor till it holds idle. Within this scope I've also fired my car right up and have experienced a high idle. (These two scenarios have been going on for a couple days.) Note: Oil level is good. - Just tonight though I went to start my vehicle (it is a 99' civic SI. and nothing at all. I tried turning it multiple times and still nothing. But, out of frustration I turned the key and held it. When I did this it does nothing for about 2-3 seconds and then fires right up..? It's as if there is latency in the current. Right after the dashboard lights go off it fires up. What could cause the low idle, the high idle, and the latency to start? Three different scenarios... So I really don't know where to start. My car had been having turning over. But if I gave it has it would help it start. Sometimes needing to keep Erving the motor till it would hold idle. Within this scope I've also fired my car right up and experienced a high idle. These two scenarios have been going on for a couple days. Note: Oil level is good. Just tonight though I went to start my vehicle (talk 99-00' civic SI.) and nothing at all. So I keep turning and nothing. Then turn one more time and it fires right up?? Criag Baker - Very true. Something like that could happen early in the morning when we're late for work and we don't pay too much attention to what we're doing. Thanks for commenting. you forgot to mention that with an automatic transmission, the gear may be set to something other than Drive or Neutral for which most have a safety switch prohibiting the car from being started if not in one of these two gear positions. Just had a friend do this and was just about to tow the car into a mechanic lol. Excellent article...was doing a bit of research because today started having start issues, of course it is now in the single digits temperature wise. Take care and thanks. I need very much your help friends. The battery is in good condition. When I turn the key the dashboard lights up but when I continue to start the lights disappears and I hear a little sound likely from the starter. Sometimes it cranks the engine and starts and sometimes it doesn't. I thought there is faulty wiring that causes everything because it sometimes blows the fuse but not at all times. Is it possible that there is a problem in the starter since I took it to the shop for armature soldering and fixing? (my email: jjimmydolo@gmail.com). Thank you very much. I had some starter problems in my car earlier in the year (15+ times trying to start) but since the weather has improved, so has the problem. Not looking forward to the coming winter!